If you’re thinking about a fencing project, but have no idea how much it’s going to cost, you can stop wondering. As the leading fence company in the Twin Cities, we are always happy to provide a free, no-obligation consultation and cost estimate. Come by our convenient Brooklyn Park showroom, view our huge selection of fence materials, and talk with one of our expert consultants. If you have accurate measurements of your home or commercial property, we can work up a price estimate right there, or visit you at your property at a time that’s convenient. Or, use our website to find the fence type or style you like, then call us or contact us online. An experienced representative will come to your location at your convenience and provide a cost estimate for you at no charge. Please call or fill out the information below to set up an appointment for a free price quote. We’ll contact you shortly. 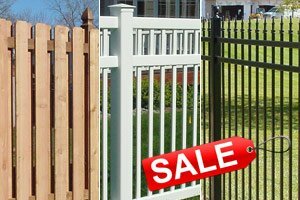 As a leading residential and commercial fence builder in Minnesota, we are always glad to talk with you about your fence needs in the Minneapolis St. Paul metro area, as part of our commitment to customer service. Our staff of friendly, knowledgeable consultants is always ready to help you in any way. From showing you our extensive range of fencing and security products and helping you to select options for your fence to on-site measurements and consultations, you can count on us for free, no-obligation cost estimates. Then, when you’ve decided and are ready, our skilled crews can install it quickly and professionally for you. It’s all part of the Town and Country Fence experience.